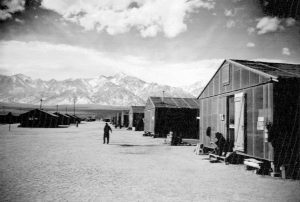 One of the more interesting new additions to the National Library of Congress are the digital copies of newspapers done in the early 1940s by Japanese-Americans held at Federal internment camps for the Japanese. With some 120,000 Japanese-American just from the west coast of the United States placed in numerous camps, they needed to new life. Their own newspapers helped as well forming schools and libraries. After December 7, 1941, with the surprise attack by the nation of Japan, those of Japanese heritage were sent to holding camps during the war. With hundreds of people, many of the camps set up their own newspaper with camp individuals supplying stories, drawings and events happening in the camp. The Library of Congress has 29 different camp newspapers, some in English, some in Japanese and other in both languages. Looking over these papers gives everyone a sense of what they were feeling and experiencing being confined to these isolated camps. 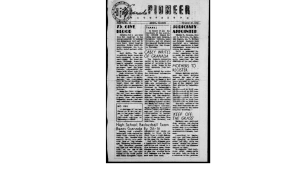 There is a listing in the different states where camps existed with the newspaper name (which could be newsletter, bulletin, courier, post, tribune, etc), the number of issues and the dates. Camps were in California, Arizona, Colorado, Idaho, Arkansas, Utah and Wyoming. From the listing of camps, their locations and newspaper name, you can click on that link to call up the available issues. Click on a thumbnail front page of a newspaper and it will enlarge. Use the two double arrows in the right corner to fill the page and the plus sign to zoom in. Also available is a button titled ‘TEXT’ which turns the newspaper print into text for easier reading. You can save issues to your computer, either in JPEG or PDF formats. The selection button is to the lower left side. It will tell you if the newspaper issue is more than just one page. Those with several pages to an issue will be more likely to have local illustrations included. Even if you did not have any relatives in such internment camps, reading about their life and living conditions can be quite interesting. 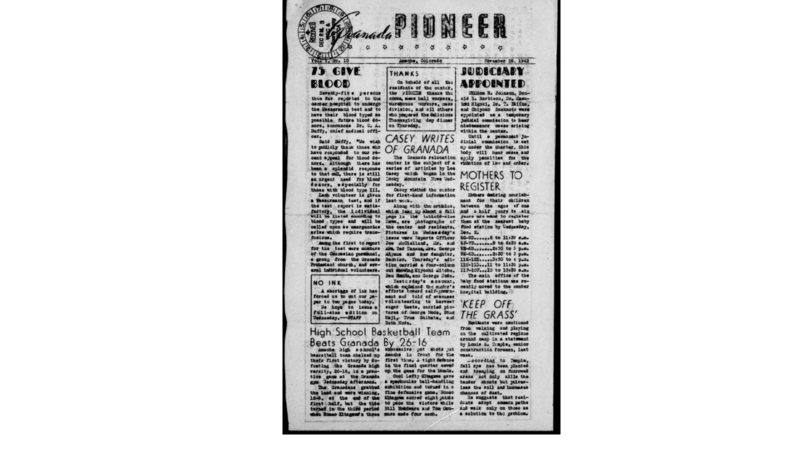 Photos: 1943, Manzanar internment camp 225 miles northeast of Los Angeles, California-holding about 10,000 individuals; Granada Pioneer, November 28, 1942, one page, in Amache, Colorado; Granada pioneer, December 1, 1943 with illustration; and the Topaz internment camp in Utah’s bleak Sevier Desert.